The induction of first of Soviet origin, Foxtrot Class, Diesel Electric Submarine, INS Kalvari heralded the birth of Submarine Arm for Indian Navy in December 1967. Initial years were euphoric as the planned induction progressed steadily under the time-tested Friendship Treaty with USSR. Induction of newer and advanced version of conventional submarines, 877EKM under the same arrangements saw defining edge added to the Force. Further impetus to the fledgling fleet was given by inducting state of the art German HDW Submarines, which were also indigenously constructed at Mazagon Docks Ltd (MDL) very successfully. Unfortunately, the controversies struck wide and deep, resulting in total and irreplaceable loss in this vital segment of indigenous submarine building capability. The collapse of the Soviet Union dealt a severe blow to the product support, sustaining maintenance facilities and the avenues for modernisation of the ageing submarines. Consequently, a comprehensive 30-years long term perspective plan for submarine building and modernisation of the ageing submarine fleet was conceived. The Approval-in-Principle of the Government was promptly endorsed in the year 2004. Warships and submarines designing, development and construction are extremely intricate, complex and technology intensive. The magnitude of imponderables in the evolving processes could be very unpredictable and uncertain. The technology implosion, however, emerges as the pathfinder, provided the decision makers, the bureaucracy, associated agencies, etc. repose trust and faith with the same intensity as the naval planners do. The Defence Procurement Procedures have undergone numerous modifications, updates, etc. The latest editions were all fine-tuned to synchronise with the ongoing campaign of ‘Make in India’. The Indian Navy for the past fifty years and more already has numerous successfully designed and executed indigenous warship programmes, except for some ad hoc outright purchases/acquisitions of platforms to bridge the operational capability gaps needed to meet emergent needs. However, indigenous designs and building of conventional submarines for some reasons never flourished as well as many different types and classes of surface ships have. The first project under the perspective plan was Project 75, Scorpene for indigenous construction of six conventional stealth submarines under transfer of technology arrangements with Naval Group, France. After the delay of more than a decade the first submarine of the project, INS Kalvari (S-21), an attack stealth submarine was commissioned on December 14, 2017. Project 75 Scorpene marks a major milestone in Indian Navy’s efforts to re-commence the indigenous submarine construction line to rejuvenate its badly depleted submarine fleet. The delivery of all six submarines is expected to be complete by 2021. Second submarine Khanderi (S-22) was launched on January 12, 2017 and is currently undergoing sea trials which began on June 1, 2017. Khanderi was expected to be delivered nine months after the commissioning of INS Kalvari. However, the date for commissioning of Khanderi seems uncertain. The third submarine Karanj (S-23) was launched on January 31, 2018 and is currently undergoing sea trials. The balance three submarines of Project 75 will be christened as Vela, Vagir and Vagsheer. Of these Vela and Vagsheer will be fitted out with Air Independent Propulsion (AIP) which enhances the submerged endurance of the submarines considerably. To bridge the time lag between fructification of new projects and the operational availability of the aging fleet the perspective plan catered for modernisation and upgrading of capabilities of 877EKM class and HDW, Shishumar class submarines. The modernisation entailed service life extension and certification of the ageing fleet as also upgrading the capabilities of the relatively newer submarines of the class. For instance, retrofitment of torpedo tube launched missile systems with anti-shipping and land attack versions have provided teeth to 877EKM submarines. Likewise, all major machineries, auxiliaries, propulsion system, sensors, etc. either underwent major overhaul or replaced with advanced versions to extend the operational life until year 2025. Considering the expertise gained after successful completion of Medium Refit (MR) of INS Sindhukirti, Hindustan Shipyard Limited (HSL) has been awarded contract for Normal Refit (NR) of INS Sindhuvir, at a cost of 500 crore. For this project, HSL has signed a contract with SC Zevezdochka shipyard, Russia on March 28, 2017 for technical support during NR of INS Sindhuvir. Refit of the submarine commenced in July 2017 and is expected to be complete by end 2019. Further, HSL has submitted its bid for the Medium Refit and Life Certification (MRLC) of third Sindhugosh class submarine, INS Sindhuratna. Technical evaluation of the bid has been concluded and the Government decision is awaited. On the other hand, ThyssenKrupp Marine Systems (TKMS) has already been awarded a 410 crore contract by Mazagaon Docks Shipbuilders (MDL) to upgrade the Shishumar class, INS Shishumar for a MRLC contract. MRLC which has commenced in October 2018 is expected to be complete by 2021. The upgrade will extend the operational life of the submarine by 10 years. TKMS hopes to gradually take up the MRLC of the remaining Shishumar submarines. In parallel, TKMS is also retrofitting anti-ship American Harpoon Missiles on two Shishumar class submarines for which it has already bagged a 262 crore contract in July 2018. Project 75 (India) was incorporated in the Perspective Plan as a sequel to Project 75, Scorpene. This indigenous programme conceived based on the future ready technology should have been accorded the top-most priority by the successive Governments. Project 75 (India) was resurrected and the Government has promulgated Request for Information (RFI). Global RFI was issued to France, Germany, Russia, Sweden, Spain and Japan to participate in building six advanced stealth submarines at an estimated 70,000 crore ($10.9 billion) in collaboration with an Indian shipyard. 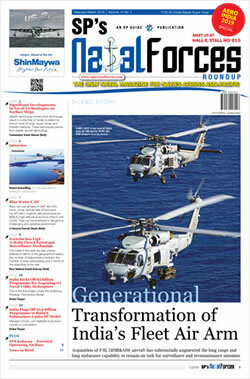 RFI was sent out to; Naval Group, France, ThyssenKrupp Marine Systems, Germany, Rosoboronexport-Rubin Design Bureau, Russia, Navantia, Spain, Saab, Sweden and the Mitsubishi-Kawasaki Heavy Industries Combine, Japan. However, Mitsubishi-Kawasaki Heavy Engineering Combine, Japan and Navantia, Spain have pulled out of the project. Government has approved P75(I) to be progressed under the Strategic Partnership (SP) Model as promulgated in Defence Procurement Procedure 2016. To ensure uniform guidelines for progressing all four segments of the SP Model, the Defence Acquisition Council has approved generic guidelines in July 2018. Promulgation of Segment specific guidelines by the Ministry of Defence for the Submarine segment is expected shortly. The Expression of Interest documents for shortlisting of Strategic Partners and Foreign OEMs for P75(I) is expected to be issued by end-2018. Thereafter RFP is expected to be issued by mid-2019. 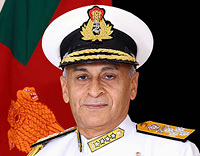 The Indian Navy has justified that the six diesel-electric submarines conceived under Project 75 (India) to be fitted out with land-attack cruise missiles, AIP for greater underwater endurance, and the capability to integrate indigenous weapons and sensors as and when these are developed. In addition to the fleet of conventional submarines, for strategic deterrence India needs at least six nuclear powered attack submarines (SSN) and at least four nuclear powered submarines with nuclear-tipped missiles (SSBN). In February 2015, Government of India approved the construction of six nuclear-powered SSNs. The first indigenous nuclear-powered submarine that can launch ballistic missiles (SSBN), INS Arihant was commissioned on August 26, 2016 and recently has very successfully completed her operational patrol. Three more SSBNs have been approved to be indigenously constructed. 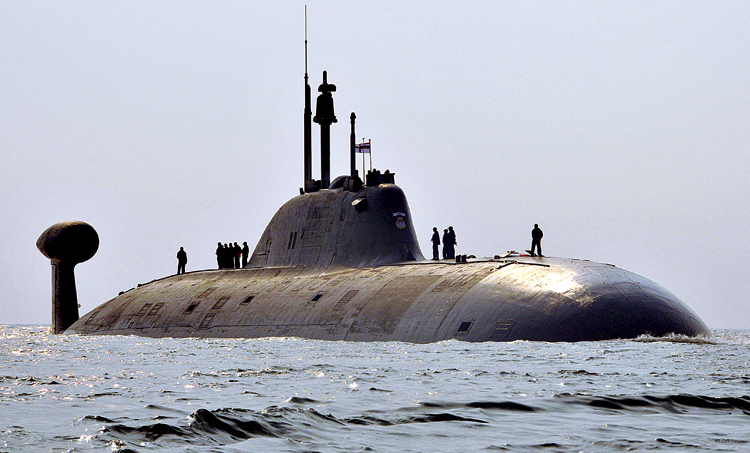 In addition, INS Chakra a Russian nuclear-powered submarine (SSN) has joined the Indian Navy on lease for 10 years in 2012 to train the submariners on the skills to operate nuclear powered submarines. Negotiations for the acquisition of an Akula-class SSN from Russia are currently dead locked over pricing. Reportedly, the Russia is now demanding a price of over $2.5 billion for a five-year refit and refurbishment of second Akula-class SSN, as opposed to the original offer of $1.5 billion. Undoubtedly the lackadaisical pursuance of indigenously shoring up the operational capability of India’s submarine fleet has left wide gaps when compared to the modernisation plans of the Peoples’ Liberation Army (Navy). The accountability for the current dwindling force levels of India’s submarine fleet can be attributed elsewhere but not on the Indian Navy. The 30-years long term perspective plan for building submarine force levels and its modernisation entails 18 diesel-electric conventional submarines, six SSNs and four SSBNs to emerge as a force to reckon with in IOR. There is an emerging view that despite the approved programmes for rejuvenation, India is unlikely to have a credible submarine fleet by 2030 to match the emerging prowess of China.